You are currently browsing the tag archive for the ‘Sulaimanian’ tag. 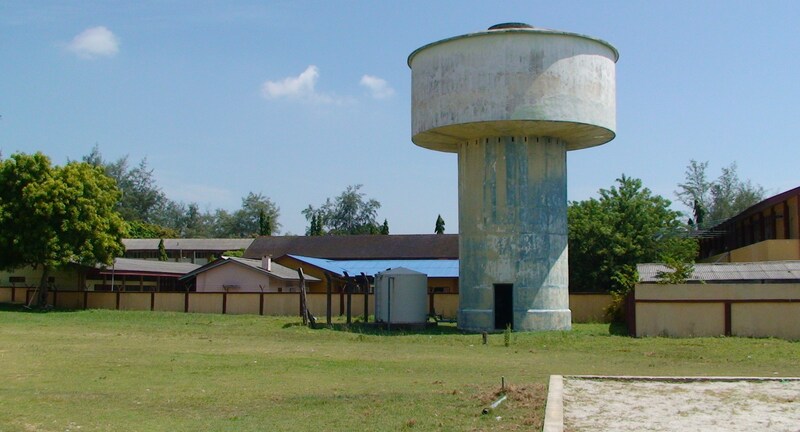 We always look back with such a nostalgic memories of our school, Sultan Sulaiman Secondary School (SSSS or SS, as we always refer). Thus, this blog was created to bring back those memories. Besides writing as much as I could for this Sulaimanian blog (other than maintaining 10 other blogs) there is always a limit to it. Thus, I make use of my school magazine collection(starting from 1958 until as recent as 2009 – of course with some missing ones in between), scan some of the relevant pages and post it here. To cater such a wide range of Sulaimanian alumni, I will have to switch between the old magazines, not so old and the more recent ones – so that I could maintain to attract all the visitors (Sulaimanians) to this blog. We have so many happenings around/related to our school and the alumnus. But nothing get fed and updated here if nobody send me those news/articles. Partly because of not being in KT could have distanced me from news of recent school activities. We have so many big names from our school making headlines in the newspaper almost everyday but still many would not notice as we usually do not mention about SS in the story. 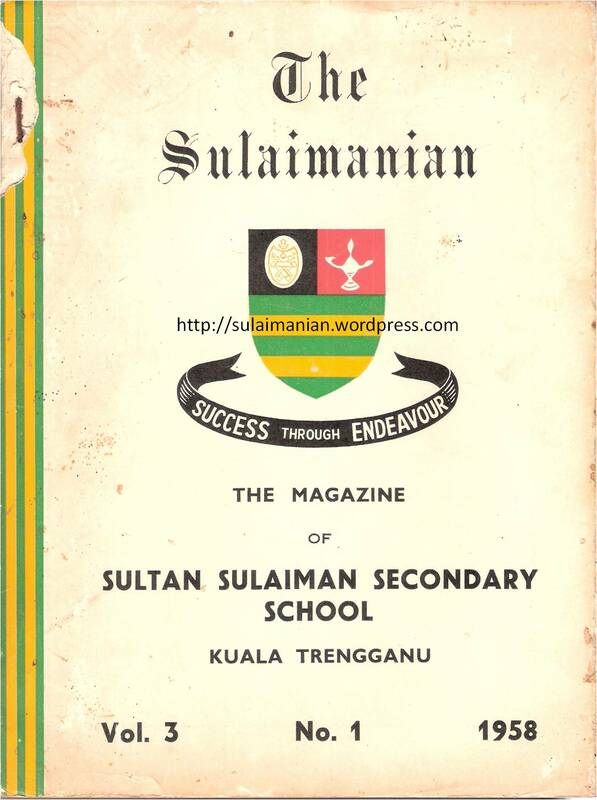 Of course everybody knows and read about our schoolmate Tuanku Sultan who had just finished his term as the 13th YDPA. We are all proud to be associated with his former school. And of course his former batch mate are even more proud of having such association – with so many functions organised during his tenure as YDPA. I also created a FB account (which I called it as “Unofficial” – 1st on the list above). With modest beginning a few months ago, it has now 3000+ friends from all ages. Please like if you want updates of this blog notified. Keep me motivated by your visits and comments. I thank you all. 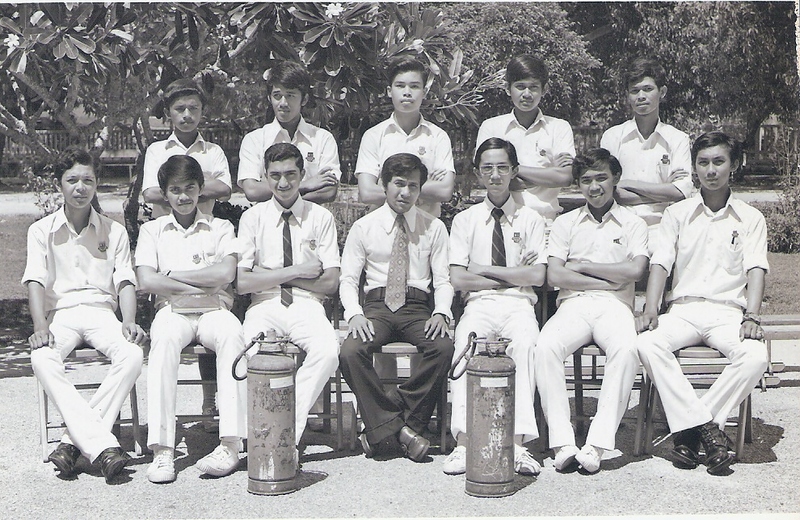 Yes, in 1974, our Sultan Sulaiman Secondary School had a Fire Fighting Squad. Probably we were the only school that had such a squad then. We even have the squad’s photo in that year’s school magazine. But many did not know about the squad – even for those who were in that photo. We had several obstacles and delays toward forming a fully operational committee. Together with my close buddy, Syed Fattah (we were also then among the prime mover with the Scout movement – taking over from our seniors such as Razak Mohd Nor and “Cacho” – who were then slowing down their scouting activities) – we discussed and discussed with the appointed teacher in-charge then, Cikgu Arifin Wahab, it just does not proceed. Then came the photo taking session day. From the early morning, one after another group had their photo taken. Despite the official committee was not formed yet, I approached our Cikgu, that we need to have our squad photo taken too (even though just with the current pro-tem committee). He agreed. I grouped a few that I can recall and happened to be around there – who had at least been interested with the squad. But we only had about five people, thus we grab in a few more of our friends just to be in the photo and pretend to be the squad members. At least we have eleven – reasonable number for a committee. With others having something to show. The prefects have their tie and jacket. The scouts in their uniform. Hockey team would have a pair of hockey stick crossed. Or some would show off their medals. What do we have? No uniform. I grabbed Fattah to follow me to the nearby Administration Block, pulled down two heavy fire extinguishers and placed it one in front him and the other in front of me. Old and rusty pair indeed. Well, those are the only ones available nearby. Anyway, we would never find a better one even if we run around the school looking. All were rusty from the nearby salty sea breeze. Thirty four years had passed, I cannot remember many of the names in the photo and who were really “in the squad” or those that I just grabbed for the photo session. Obviously that Fattah and myself were seated next to Cikgu Arifin. Seated next to Fattah was a close friend but memory of his name had eroded from me at this moment. 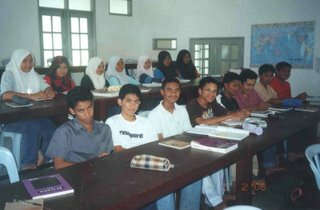 Far left is Razali, from the Arts stream of our batch – now a teacher in Kuala Terengganu – but had not met him for more than 10 years. On my left is Arwah Chacho (who had passed away a few years after that while studying in ITM Shah Alam [UiTM now]) and far right is Tg. Zailan, our class monitor then. The last time I met him was when he was serving as an ASP at Bukit Aman almost 20 years ago. 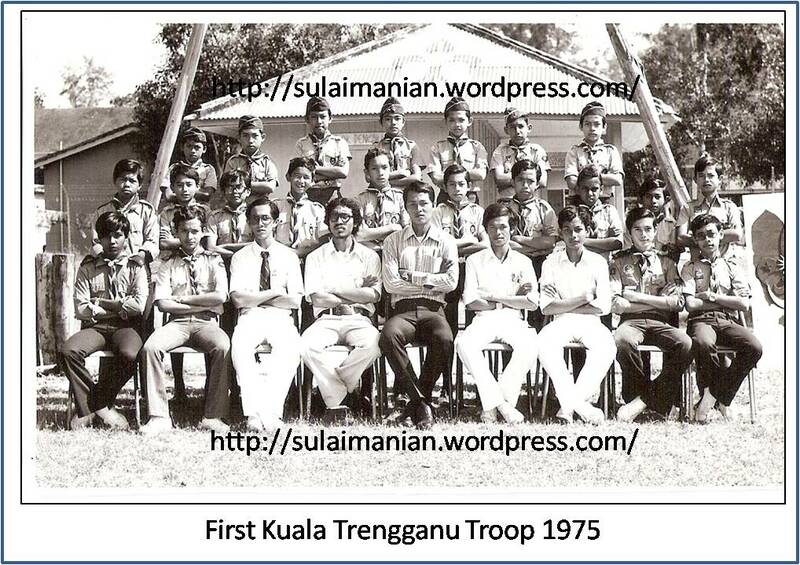 Standing, from right, Fattah Alias (from TB School, came to SS for Sixth form – also active with scout). Even though I heard that he stays near my mum’s house in Taman Jaya (Jalan Pusara), but I had not met him whenever I pray at the surau there – as if I am a regular! Next from the back row that I can recall is Jamil (Upper Six Science then), second from left. Dr. Jamil is now with MARDI. He is married to his junior at SS, Norheini Bakar (I hope I got the spelling correct) who lived just two houses from my mum’s house. The last I met him was when I delivered “Growing Up in Trengganu” to his office in Serdang. As for the rest in the photo – I have to apologise. I just cannot recall the name even though their faces are still fresh in my memory. Well, back to our fire-fighting squad, we never had a follow up meeting after that photo session. And the squad just did not take off at all after that and the subsequent two years I was at SS. But, yes, we had a fire-fighting squad just for the school magazine in 1974. It is high praise indeed that this posting is ‘dedicated’ to what I do. It is so flattering and humbling. A couple of friends who have ‘connections’ have suggested that I get interviewed for TV or newspapers, to which idea I have so far vehemently declined. I would like the write-up on the good that we do is targeted only to those who are likely to take it as a model to do something similar, ‘kerana Tuhan untuk kemanusiaan’, nothing more, nothing less. It should have a chance to be a stimulus, a catalyst, never a sensational publicity item. We pay too much attention to create empty slogans and publicity, and we have had enough of these. Since the posting has been made (without my knowledge) and it is for the Sulaimanians, I thank you. I owe a lot of my life to that school, a concrete stepping stone to whatever success I have had. Perhaps many more Sulaimanians will create their own challenges and succeed through endeavour, the school motto. Our school has produced successful Tun, Tan Sri and so on. Many in the country do not realise that these individuals are the product of a humble school, fifty years ago unfairly dubbed ‘sekolah kajang’, after the fire. In fact it was within the ‘kajang’ walls I received my English education, for no less pride. Let each of us contribute something within our means to the community. I know better today how rewarding this can be, something money cannot buy. We work and work. We work for our family well being and future security. To send the kids to school and later to the university. To pay the house rental and later buy a house. After years of working for us, our family and for our material well-being we retire. Many retire for good. Mostly we “duduk ssaje” – plainly do nothing really beneficial. I remember my Allahyarham father (Pok), he never just duduk ssaje. Be it while he was still teaching as “Ustaz” nor after he retired. In his late forties and fifties, after coming back from school, we would “gi kkebun” about 3-4 times a week. 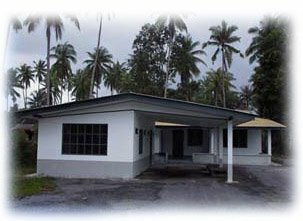 Not that we have large orchard or farm but something to toil a 2 acre piece of coconut trees near Gong Badak and another larger piece near Bukit Payung. And the same he would continually do after his retirement adding a regular “kelas nggaji” that he studiously attend at various places such as Tok Guru Haji Abas and Tok Guru Abdul Rahman of Patani at Kuala Ibai. Never would I see him “duduk cconggok” at any “wakah” or “ssembang di keda kopi” wasting the precious time. On the 6th Shawwal, my dad’s first cousin came to my mum’s house for a Raya visit. We had earlier planned to visit him that day at his house near Mengabang Telipot (as we always do every year) but since he is coming to town to visit relatives then we decided to just meet at my mum’s house. He is one who would never “duduk ssaje”, after his retirement from a very senior position in an oil company. This posting is dedicated for his effort to ensure better future for the rural folks children around his nice beach house. Ayah Ngah Hassan (which I had wrote about him here http://sulaimanian.wordpress.com/2008/06/05/a-letter-from-england-1960/), has a mission. His mission is to see the rural Malays successful and given the opportunity to be successful. His motto is “BERBAKTI KERANA TUHAN UNTUK KEMANUSIAAN” – helping the humanity for the sake of God is such a holy aspiration. And that is what he had been doing after retiring and built a house far away from town to contribute to the surrounding society. 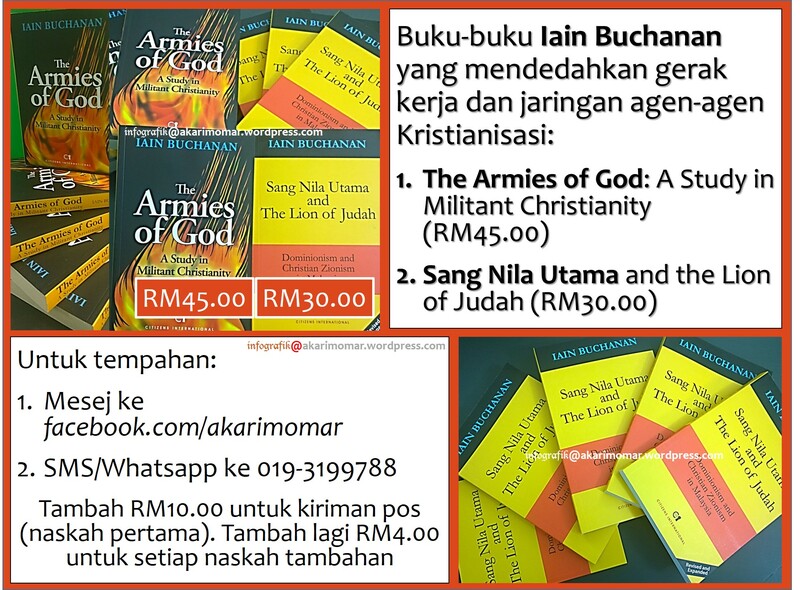 In his own personal capacity, he has established “Amanah Almanar” ( Almanar Trust) in 1994 which among others provides “free tuition centre” (http://almanar-nuri.blogspot.com/). But free does not mean one can walk in-and-out freely. Despite giving a free guidance, he is strict with his students. Only the serious and committed ones will stay (allowed to stay!). The students are really from the poor and parents who are not able to see the value of excellent education. During our conversation (which I always enjoy listening to his mission, his work and his success stories), he talked about the wastages of so many government projects. Some are useless even when the projects are being planned but many are wasteful because of its implementation, delivery, supervision and most importantly corruption all over. He then start to talk about his trust. Despite he had some of the stories mentioned a few times before, I would still patiently listen with full interest. It has been 14 years of dedication, patience and hardwork. A Sulaimanian and England trained engineer back to teaching secondary English, Math and Science in a rural Terengganu – all by himself. These are the stories that our local TV should do documentaries of – not about the longest popiah roll for the record or any of such dumb stuff. I had suggested to some local TV producers – but was given a “no commercial” value reply or no reply at all. Humbly talking about Ana Sarda success, his eyes turns watery and minutes later he was unable to control and took out his handkerchief to wipe the tears that flowed down. Yes, very touching. It touched me too, but I have to hold on. Ana is definitely not the only girl. Almanar alumni has engineers and many other profession. Ayah Ngah did it all by himself but not without great resistance from some parents. There are objections coming from the school and the teachers themselve too. Good deeds are often being wrongly construed. I pray Allah to give my father’s cousin the strength to continue his work and may Allah reward it in the Jannah for your never “duduk ssaje”. And also to Che Ngah for the support given to Ayah Ngah. 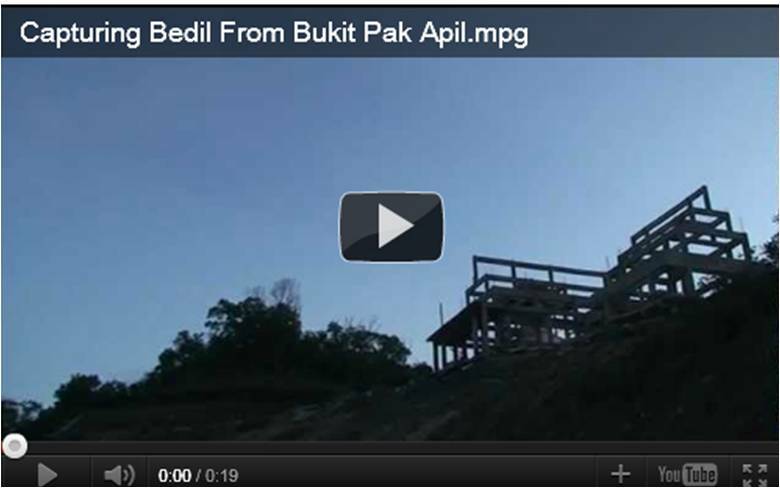 I also pray more of our abled-people to “berbakti” to the society in many other ways. Though what Hassan bin Abdul Karim had done is examplary but not many can dedicate their time and money to follow – despite having tonnes of money wasted on extra luxury car or yatch. Ayah Ngah only drives a Gen-2.